Optical coherence tomography angiography (OCTA) is a non-invasive angiography type without a contrast agent, which provides a detailed assessment of the retinal and choroidal vasculature and visualisation of blood flow by detecting motions of erythrocytes, using serial optical coherence tomography B-scans. OCTA has been thoroughly investigated during imaging of the microvasculature in various retinal and choroidal vascular and tumoural diseases that affect the central macula. It has some important advantages and some acceptable disadvantages. Burak Turgut has nothing to disclose with with any firm, trade or device in relation to this article. Figures have been provided to the author from ZEISS Meditec Inc., Turkey. No funding was received for the publication of this article. The aim of this review is to provide some general information about OCTA, including the algorithms used, commercial/uncommercial devices and their specifications, and the advantages and disadvantages of OCTA for retinal and choroidal vascular imaging. OCTA can penetrate retinal haemorrhage, depending on the density of the haemorrhage. OCTA can also identify the retinal ischaemic areas through the high contrast between vessels and the surrounding retina.1–10 Also, OCTA is now considered very useful in the investigation of retinal and choroidal tumours. Currently, there are some different OCTA systems built into the following OCT devices. 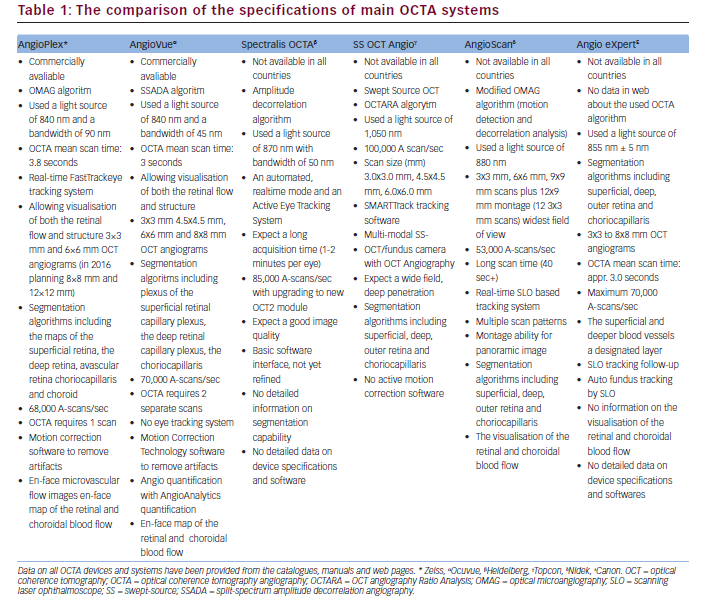 The comparison of the specifications of these OCTA devices based on their brochures, manuals and data from some studies utilising these devices (as mentioned in the references) is given in Table 1. • The assessment of the retinal and choroidal vasculature. • The visualisation with high resolution of blood flow in various layers of the retina. • The fast and three-dimensional clear visualisation of vascular structures. • The visualisation of both superficial and deep vascular plexus in the retina. • No necessity for the injection of a contrast dye, and therefore no adverse reactions. • The visualisation of retinal ischaemia, and neovascularisation in the retina and choroid. • The visualisation of some microaneurysms. • No information on blood–retinal barrier leakage and the failure to show the leakage and to assess vascular permeability. • The lack of visualisation of all microaneurysms. • The artifacts due to blinking and motion or vessel ghosting, vessel doubling, stretching of the image. • Signal attenuation/masking below optically dense material (thickened retinal pigment epithelium or hard exudates) to be mistaken for flow voids. • The fade out of the flow signal in OCTA in large vessels due to very fast blood. • A limited field of view. 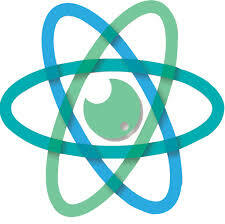 • The necessity for some algorithms, such as SSADA or OMAG to provide detailed high-quality OCTA images. • A reduction in the image resolution when its scanning area is increased. 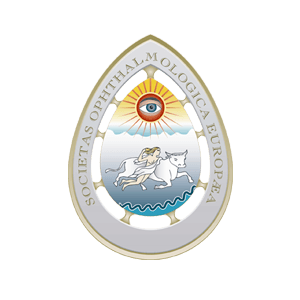 In conclusion, further studies are needed to clearly understand the potential roles of OCTA in diagnosis, follow-up, treatment and evaluation of the prognosis in various retinal and choroidal diseases. 1. Kim DY, Fingler J, Zawadzki RJ, et al., Optical imaging of the chorioretinal vasculature in the living human eye, Proc Natl Acad Sci, 2013;110:14354–9. 2. Jia Y, Bailey ST, Hwang TS, et al., Quantitative optical coherence tomography angiography of vascular abnormalities in the living human eye, Proc Natl Acad Sci, 2015;112:E2395–402. 3. de Carlo TE, Romano A, Waheed NK, Duker JS, A review of optical coherence tomography angiography, International Journal of Retina and Vitreous, 2015;1:5. 4. Hwang TS, Gao SS, Liu L, et al., Automated quantification of capillary nonperfusion using optical coherence tomography angiography in diabetic retinopathy, JAMA Ophthalmol, 2016;134:367-73. 5. Agemy SA, Scripsema NK, Shah CM, et al., Retinal vascular rerfusion density mapping using optical coherence tomography angiography in normal and diabetic retinopathy patients, Retina, 2015;35:2353–63. 6. Ishibazawa A, Nagaoka T, Takahashi A, et al., Optical coherence tomography angiography in diabetic retinopathy: a prospective pilot study, Am J Ophthalmol, 2015;160:35–44.e1. 7. Coscas G, Lupidi M, Coscas F, Heidelberg Spectralis Optical Coherence Tomography Angiography: Technical Aspects. In: Bandello F, Souied EH, Querques G (eds), OCT Angiography in Retinal and Macular Diseases, Dev Ophthalmol, Basel: Karger, 2016;56:1–5. 8. Thorell MR, Zhang Q, Huang Y, et al., Swept-source OCT angiography of macular telangiectasia type 2, Ophthalmic Surg Lasers Imaging Retina, 2014;45:369–80. 9. Mastropasqua R, Di Antonio L, Di Staso S, et al., Optical coherence tomography angiography in retinal vascular diseases and choroidal neovascularization, J Ophthalmol, 2015;2015:343515. 10. Sood P, Saxena N, Talwar D, OCT angiography: an upcoming tool for diagnosis and treatment of retinal vascular diseases, Delphi Journal of Ophthalmology, 2015;26:125–30. 11. 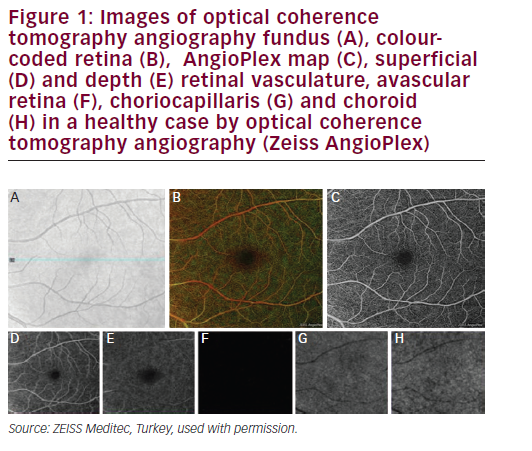 Coscas GJ, Lupidi M, Coscas F, et al., Optical coherence tomography angiography versus traditional multimodal imaging in assessing the activity of exudative age-related macular degeneration: A new diagnostic challenge, Retina, 2015;35:2219–28. 12. Srour M, Querques G, Semoun O, et al., Optical coherence tomography angiography characteristics of polypoidal choroidal vasculopathy, Br J Ophthalmol, 2016; pii: bjophthalmol-2015-307892. doi: 10.1136/ bjophthalmol-2015-307892. 13. Sridhar J, Shahlaee A, Rahimy E, et al., Optical coherence tomography angiography and en face optical coherence tomography features of paracentral acute middle maculopathy, Am J Ophthalmol, 2015;160:1259–68. 14. Bonini Filho MA, de Carlo TE, Ferrara D, et al., Association of choroidal neovascularization and central serous chorioretinopathy with optical coherence tomography angiography, JAMA Ophthalmol, 2015;133:899–906. 15. Minvielle W, Caillaux V, Cohen SY, et al., Macular microangiopathy in sickle cell disease using optical coherence tomography angiography, Am J Ophthalmol, 2016;164:137–144. 16. Wang RK, Optical microangiography: a label free 3D imaging technology to visualize and quantify blood circulations within tissue beds in vivo, IEEE J Sel Top Quantum Electron, 2010;16:545–54. 17. Staurenghi G, Cunha-Vaz J, Korobelnik JF, Optical coherence tomography angiography of the aetinal microvasculature using the Zeiss AngioPlex, European Ophthalmic Review, 2015;9:147–56. 18. de Carlo ET, Baumal CR, Advances in optical coherence tomography angiography, US Ophthalmic Review, 2016;9:37–40. 19. Stanga PE, Tsamis E, Papayannis A, et al., Swept-source optical coherence tomography angio™ (Topcon Corp, Japan): technology review, Dev Ophthalmol, 2016;56:13–7. 20. Swept-Source OCT Angiography: SS OCT AngioTM, 2015. Available at: www.topcon-medical.es/files/Local_TES/ Estudios_clinicos/DRI_OCT_Triton_SS_OCT_Angio_ Whitepaper_E_201511.pdf (accessed 26 May 2016). 21. Advanced OCT/SLO System RS-3000 OCT RetinaScan, 2008. Available at: www.dfv.com.au/downloads/Nidek-RS-3000- catalogue.pdf (accessed 26 May 2016). 22. AX (Angio eXpert) software module. Available at: www.canon. co.uk/medical/eye_care/oct-hs100_angio_expert/ (accessed 26 May 2016). 23. Tokayer J, Jia Y, Dhalla AH, Huang D, Blood flow velocity quantification using split-spectrum amplitude-decorrelation angiography with optical coherence tomography, Biomed Opt Express, 2013;4:1909–24. 24. Huang Y, Zhang Q, Thorell MR, et al., Swept-source OCT angiography of the retinal vasculature using intensity differentiation-based optical microangiography algorithms, Ophthalmic Surg Lasers Imaging Retina, 2014;45:382–9. 25. Fingler J, Zawadzki RJ, Werner JS, et al., Volumetric microvascular imaging of human retina using optical coherence tomography with a novel motion contrast technique, Opt Express, 2009;17:22190–200. 26. Zhang A, Zhang Q, Chen CL, Wang RK, Methods and algorithms for optical coherence tomography-based angiography: a review and comparison, J Biomed Opt, 2015;20:100901. 27. Jia Y, Tan O, Tokayer J, et al., Split-spectrum amplitudedecorrelation angiography with optical coherence tomography, Opt Express, 2012;20:4710–25. 28. Enfield J, Jonathan E, Leahy MJ, In vivo imaging of the microcirculation of the volar forearm using correlation mapping optical coherence tomography (cmOCT), Biomed Opt Express, 2011;2:1184–93. 29. Mariampillai A, Standish BA, Moriyama EH, et al., Speckle variance detection of microvasculature using swept-source optical coherence tomography, Opt Lett, 2008;33,1530–2. 30. Spaide RF, Klancnik JM, Cooney MJ, Retinal vascular layers imaged by fluorescein angiography and optical coherence tomography angiography, JAMA Ophthalmol, 2015;133:45–50. 31. Choi W, Mohler KJ, Potsaid B, et al., Choriocapillaris and choroidal microvasculature imaging with ultrahigh speed OCT angiography, PLoS ONE, 2013;8:e.81499. 32. Zhang CQ, Lee CS, Chao J, et al., Wide-field optical coherence tomography based microangiography for retinal imaging, Sci Rep, 2016;6:22017. 33. Fang PP, Lindner M, Steinberg JS, et al., [Clinical applications of OCT angiography], Ophthalmologe, 2016;113:14–22. 34. Jia Y, Bailey ST, Wilson DJ, et al. Quantitative optical coherence tomography angiography of choroidal neovascularization in age-related macular degeneration, Ophthalmology, 2014;121:1435–44. 35. Matsunaga D, Yi J, Puliafito C, Kashani AH., OCT angiography in healthy human subjects, Ophthalmic Surg Lasers Imaging Retina, 2014;45:510–5. 36. Roisman L, Zhang Q, Wang RK, et al., Optical coherence tomography angiography of asymptomatic neovascularization in intermediate age-related macular degeneration, Ophthalmology, 2016;123:1309-19. 37. Toto L, Borrelli E, Di Antonio L, et al., Retinal vascular plexuses’ changes in dry age-related macular degeneration, evaluated by means of optical coherence tomography angiography, Retina, 2016;36:1566-72. 38. Choi W, Moult E, Waheed NK, et al., Ultrahigh-speed, swept source optical coherence tomography angiography in non exudative age-related macular degeneration with geographic atrophy, Ophthalmology, 2015;122:2532–44. 39. Dansingani KK, Tan A, Gilani F, et al., Subretinal hyperreflective material imaged with optical coherence tomography angiography, Am J Ophthalmol, 2016; pii: S0002- 9394(16)30304-X. 40. Battaglia Parodi M, Pierro L, Gagliardi M, et al., Optical coherence tomography angiography in dystrophies, Dev Ophthalmol, 2016;56:159–65. 41. Battaglia Parodi M, Cicinelli MV, Rabiolo A, et al., Vessel density analysis in patients with retinitis pigmentosa by means of optical coherence tomography angiography, Br J Ophthalmol, 2016;pii: bjophthalmol-2016-308925.